Gorgeous unisex paper bunting from the Tiny Feet party range, suitable for indoor and outdoor use. Produced from high-quality, durable paper, this bunting adds a stylish touch to décor for christenings, naming ceremonies or baby showers. 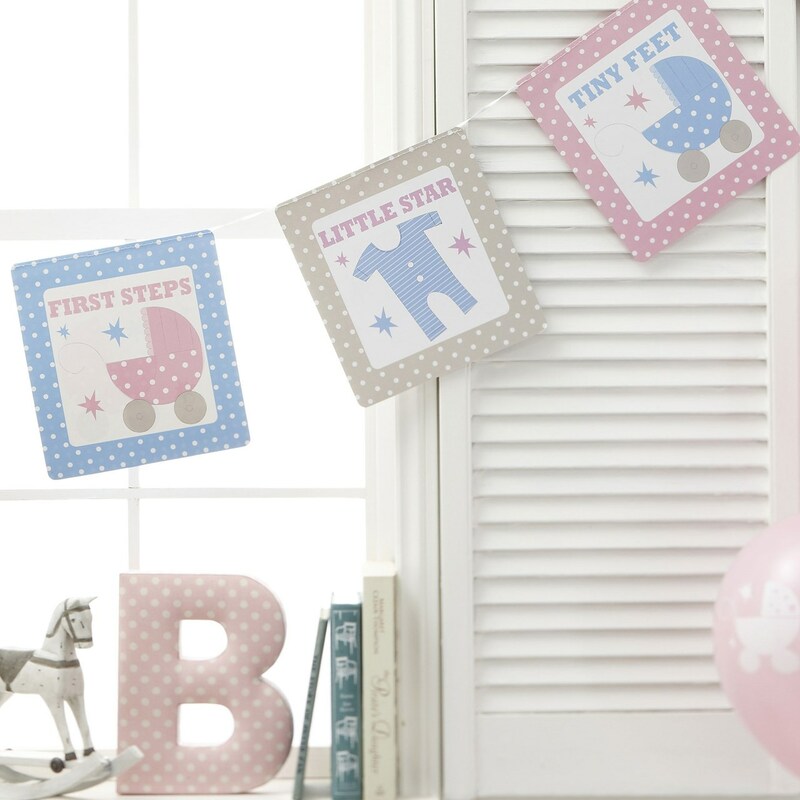 Tiny Feet bunting features square flags adorned with polka dots, stars and pretty illustrations in a baby theme, alongside text reading ‘Little Star’, ‘Tiny Feet’ and ‘First Steps’. Each pack contains Bunting with 16 pendants and measures 3.5mtrs in length.